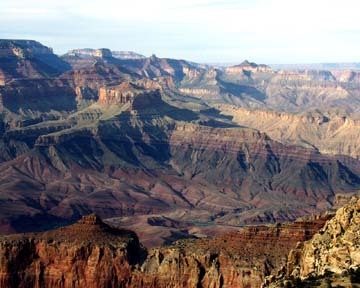 On 16 February, Mary Rothschild, David Rothschild, Kate Rothschild, Lynne Flaherty and Peter Rothschild drove from Tempe, AZ to The Grand Canyon. This was Kate's first time to the Canyon, Lynne's second time, and the n'th time for the rest of us. It was cool, but sunny and the colors were wonderful.